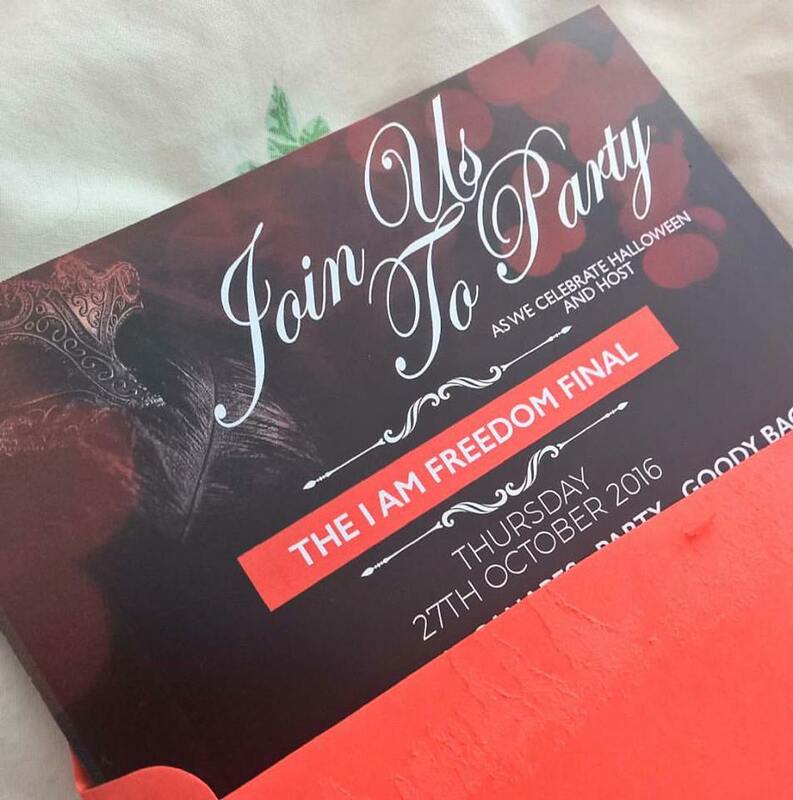 if you follow me on any social media accout, like Instagram or Twitter or Facebook, than you know that I recently flew out to London for the I AM FREEDOm final & Halloween party. I was very excited to go because I wouldn't only see my blogger friends Florence and Naddy but it would also be my first time celebration Halloween. Isn't that just crazy, I'm almost twenty four and I have never celebrated Halloween before. I was also very excited because last event from Makeup Revolution, created by the same company as I AM FREEDOM, was sooooo good. I flew out on Wednesday and the event was on Thursday the 27th. Before the event I went out to dinner at Jamie's Italian which was near the event. This time the location was a bit smaller but dressed up nicely in the Halloween theme. At first I didn't recognize anyone. So I decided to take some photo's of the makeup on display. 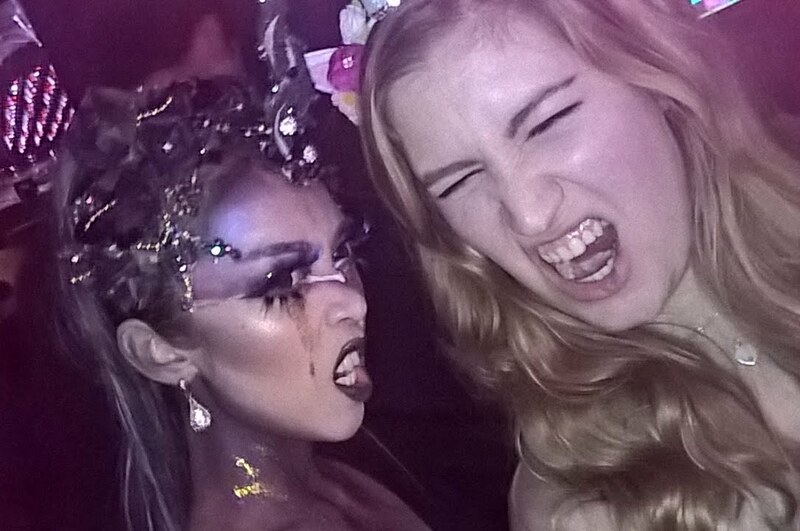 I also talked to some blogger that were dressed up as cats, and I love cats! 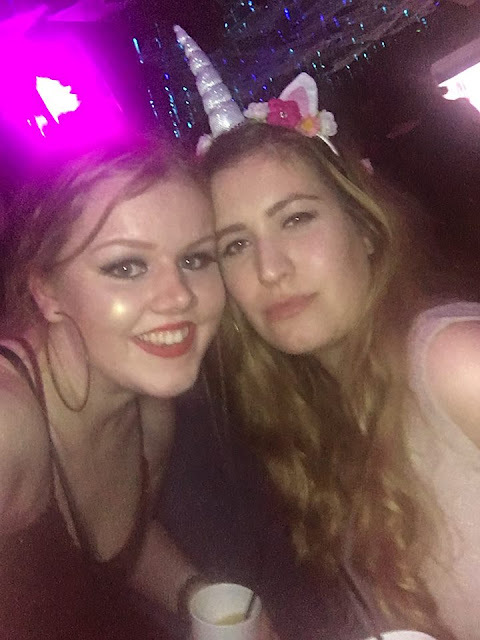 I was dressed up as an unicorn wearing cocktail dress because that's what unicorns do they were cocktail dresses. 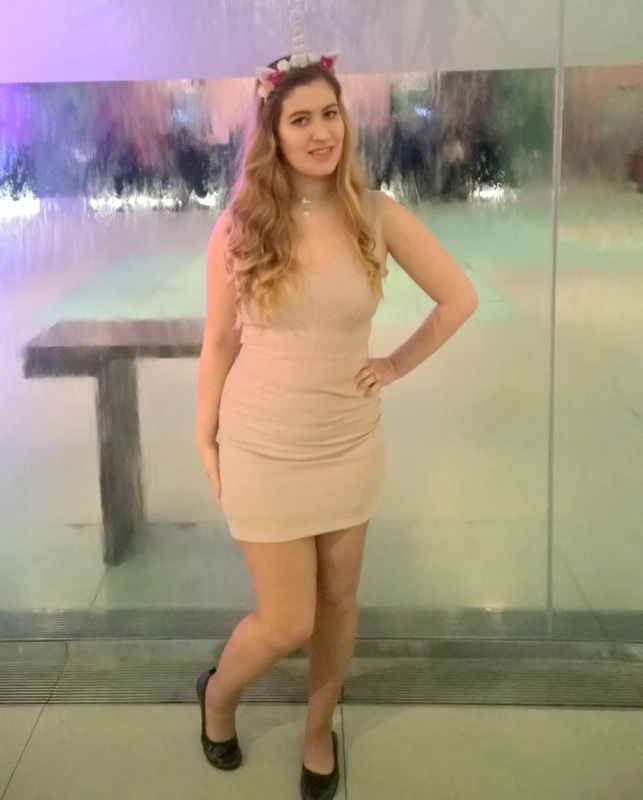 I'm wearing a gold-ish cocktail dress from Forever21 and an unicorn headband from ASOS. Thanks to the headband Florence saw me and came up to my with her friend Bobbie. We got some drinks, and with some drinks I mean a lot of drinks, danced and ate some of the snacks. They had so many good snacks like sushi, mini hamburgers, deep fried mozzarella and chicken sate to name a few. I AM FREEDOM announced the finalist of the competition around eight. They presented their look and their story. We got coins and got to vote for who we thought was the best of the best because lets be honest they're all really good. I voted for Xana because I love her work and a little bit because we were botht he only unicorns at the party. After an hour the jury announced the winner which ended up being Loran, congratz girl you deserve it! Then the party really started with dancers dancing on MJ's thriller night, which was epic. When Florence and Bobbie went home I decided to chat up with Naddy. 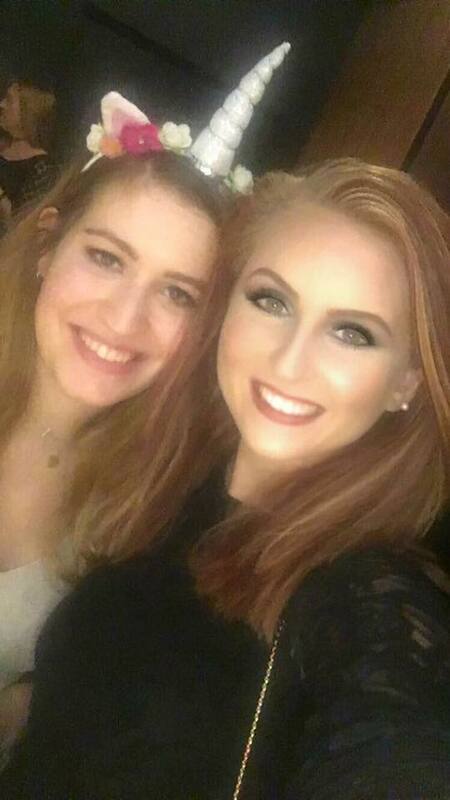 She introduced me to her friends, we danced for like an hour when I decided it was time for me to go back to the hotel. At the door I received a jar filled with candy. On my way to the hotel I saw a man with a single that said; 'I'm hungry'. I gave him my jar with candy and he couldn't believe I gave him to whole jar. I still felt pretty guilty on my way to the hotel that I didn't have more food to give him. In my head I even contemplated bringing him back with me to the hotel so he could take a hot shower. My parents told me afterwards that I did the right thing, which made me feel better. Looking back and being there was amazing, I can't wait for the next event! PS I will share in the upcoming week what makeup I got and bought in London.